Contrast is game about shadows and was a bit under the radar for most gamers until Driveclub was delayed for the PlayStation 4 and Sony needed a new darling to offer for free to PlayStation Plus members. 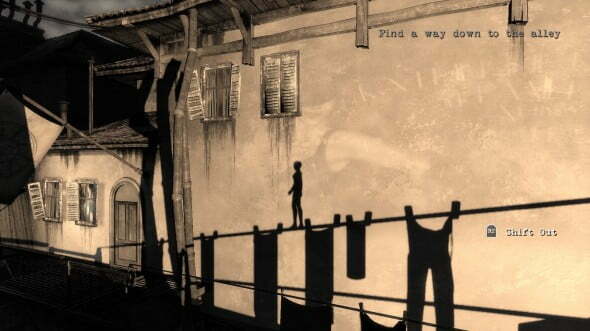 Now with the spotlight firmly shining on the Compulsion Games developed title, the 1920ish themed puzzle platformer gives attention to a theme not normally showcased — how a child copes with adult issues. One of the unfortunate facts of life is that kids tend to get caught up in their parents disturbing drama and Contrast’s core story centers on just that with a young girl named Didi struggling to fix the broken relationship between her mother and father. Only Didi and Dawn are featured in the world of Contrast as everyone else is a shadow. The world of Contrast is filled to the brim with a noir and art deco styled atmosphere of 1920s Paris that is most reminiscent of the game The Saboteur which is set in early 1940 Germany-occupied France. The style makes for an attractive world drowned in the darkness of night creating a dreamlike veneer with the lighting effects of various light sources like street lights, projectors, and lamps. It is a very easy world to get wrapped up in especially as players control Didi’s expertly and similarly noir styled imaginary friend, Dawn. The noir art deco setting really sets the mood. Dawn is a long-legged acrobat and has a unique ability to not only move about the 3D world but shift into a silhouette that can maneuver the 2D plane of shadows. They co-exist in a strange dimension that appears to be half way between the world of shadow and the real world. Didi and Dawn appear as normal persons but everyone in Didi’s life appears as a shadow. Didi’s mother, Kat, is a cabaret singer that often times has to leave Didi home alone at night with ample opportunity to sneak out. 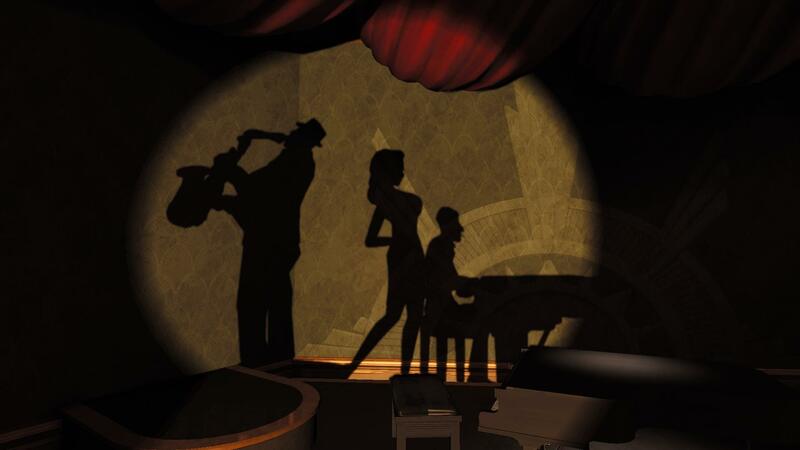 The game starts out on one such night with Dawn helping Didi sneak down to the Ghost Note cabaret to hear her mother sing but then overhears her estranged father, Johnny, get in a bit of trouble. The rest of the game’s short 4 hour story deals with repairing the parent’s relationship and helping the father get out of his spot of trouble. Gameplay centers on shifting into the shadows for platforming sections. 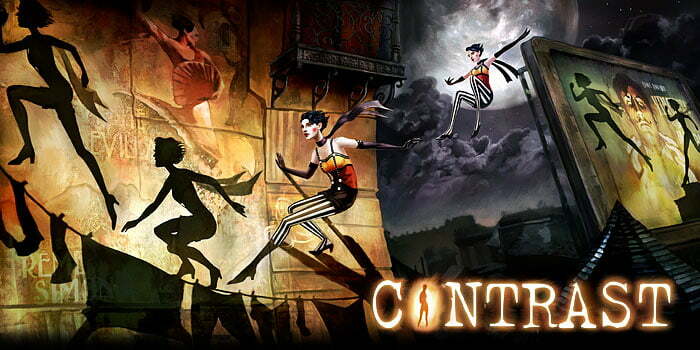 Contrast’s gameplay centers around running, jumping, and shifting as Dawn between the 3D world and the shadow world. Puzzles play a role in the manipulation of light sources to allow Dawn reach some goal to progress the story. The gameplay potential of Contrast is realized only a few times with scenes like acting out a shadow puppet play before quickly going downhill to featuring clichés like box meet button sequences. The box pushing would be a bit more bearable if not on more than one occasion during my playthrough it left Dawn stuck in a jumping jack like pose. The shortness of Contrast works out for it in the long run. With the gripping story, the game is easily able to be knocked out in an afternoon gaming session. 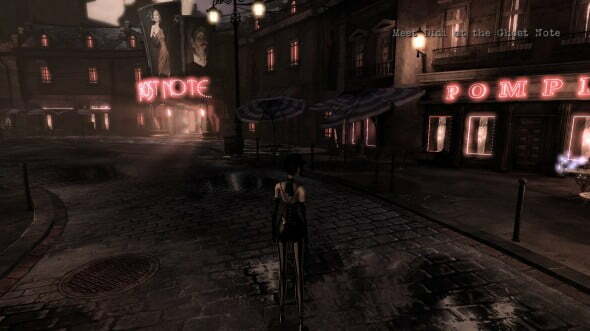 The world of Contrast features an incredible atmosphere thanks to both the setting and jazz heavy soundtrack. Even with some dips in quality of the puzzling, Contrast is a game meant to experienced.